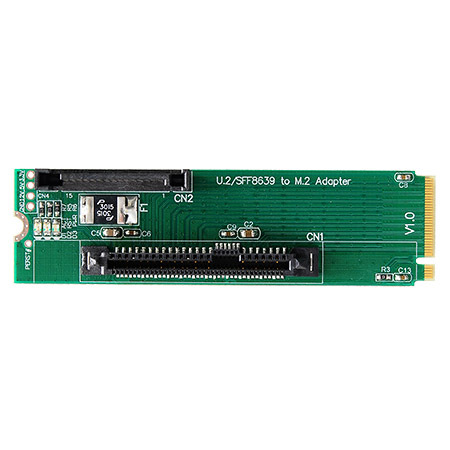 M2F is U.2/SFF8639 adapter from M.2 Socket 3. 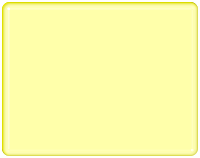 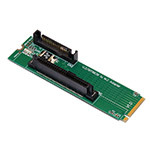 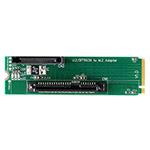 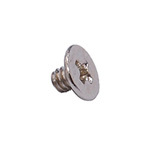 This module allows you connect Intel Solid-State Drive 750 Series device to M.2 slot through a standard SFF8639 port and power cable. 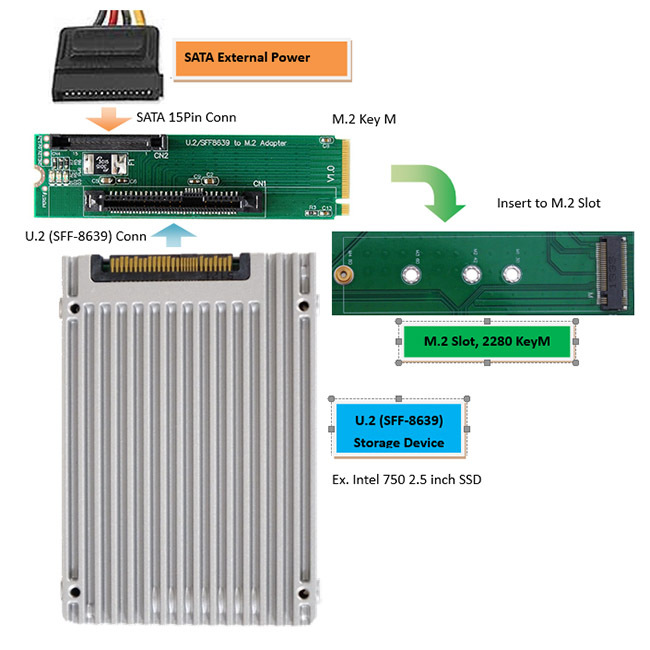 M2F supports M.2 socket 3 with Type SFF-8639 interface. 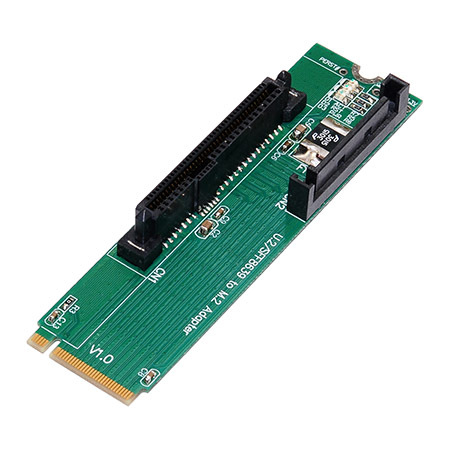 M2F supports 12V power by SATA 15pin connector for device. 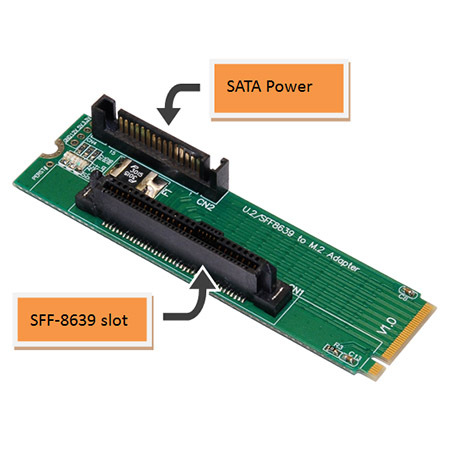 Interface : Standard SFF8639 slot. 12V power support by SATA 15pin power connector.